Breakthrough: A new treatment for Alzheimer’s Disease? 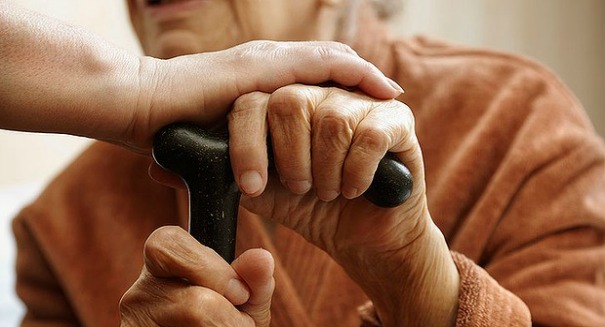 A fascinating new study has shown the reversal of Alzheimer's symptoms in ten patients. In a landmark study, scientists were able to reverse some of the symptoms of Alzheimer’s disease in a small sample of patients, paving the way for new treatments for the degenerative disease. According to a report from UPI, scientists from the Buck Institute and the University of California, Los Angeles have shown that it may be easier to address the condition than previously thought. The study examined 36 different variables that may have an impact on the symptoms of Alzheimer’s disease, including diet, exercise and different medications. Scientists treated patients for anywhere between five and 24 months to see how these different variables could affect the patients’ brain chemistry. The study is unique because the majority of what we know about Alzheimer’s disease was learned from samples taken from a deceased person’s brain. While the disease has telltale symptoms, the underlying cause behind Alzheimer’s remains elusive. Genetics have been shown to affect a person’s risk of developing the disease, and treatments were constrained to managing the symptoms like severe memory loss. Each of the ten patients in the study received a personalized 36-point treatment program that included changes to diet, brain stimulation, exercise, sleep, drugs and vitamins. Researchers found that every one of the patients experienced improvements in memory and cognitive function, and some were even able to return to work and carry out complex tasks that were previously too difficult. By attempting to address the decline of the brain as a whole rather than using a specific medicine to target a specific area, the scientists were able to produce tangible results in the patients suffering from the disease. “We think addressing multiple targets within the molecular network may be additive, or even synergistic, and that such a combinatorial approach may enhance drug candidate performance, as well,” said Bredesen. A press release from the Buck Institute describing the details of the study can be found here.